It’s Leonard Bernstein’s other musical: a Broadway-bedazzled operetta, goofier than West Side, with less snapping but a good deal more character—featuring the underratedly iconic roles of Cunégonde, a celebutante who feels written for Instagram, and the flirty, worldly “Old Woman.” The Twin Cities’ world-renowned choral group VocalEssence teams up with Theater Latté Da for a midcentury-styled take. Philip Brunelle directs local legend Bradley Greenwald and Minneapolis-native-turned-L.A.-powerhouse Liv Redpath. Learn more. The only Broadway musical about Latin American politics (aside: Would Lin-Manuel Miranda be the guy to change that?) follows the rise of Evita Perón, the poor, illegitimate Argentinian kid who became the president’s wife and a feminist leader. Andrew Lloyd Weber’s Tony-winning, “Don’t Cry for Me” classic hit the stage 40 years ago. Lyric Arts, among our region’s many awesome little theaters, puts rising actor Kiko Laureano in the starring role, whom you might recognize as Tina Turner in Old Log Theatre’s Beehive: The ’60s Musical. Learn more. When: March 24, 11 a.m.-3 p.m. This is one of the American Swedish Institute’s most scrumptious Nordic-inspired traditions. 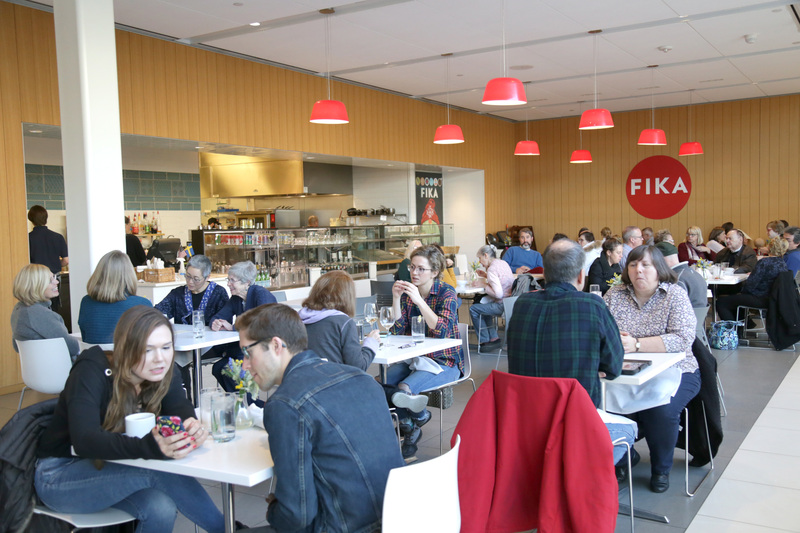 Duck into FIKA, the ASI’s café, and deck your heart-shaped waffles in whipped cream, jam, berries—or savory options like gravy and onions. Fun fact: This used to be a religious holiday, but turns out “Feast of Annunciation” sounds an awful lot like “Waffle Day” in Swedish. “Did you just say Waffle Day? !” “No, the good ol’ Feast of Annunciation.” “Well, Waffle Day it is.” Learn more. When: March 24, 6:30-8 p.m.
Last year, artist Wing Young Huie earned what is maybe Minnesota’s highest recognition: the McKnight Distinguished Artist Award. The photographer and author has built a career snapping photos of strangers, getting to know them, and confronting the biases that society has attached to them. At this public discussion, Huie leads a writing exercise on identity, loss, dreams, goals—for whatever creative project you need a push to finish. Learn more.